Incorporated in 1866, the City of Ventura is the county seat of Ventura County. 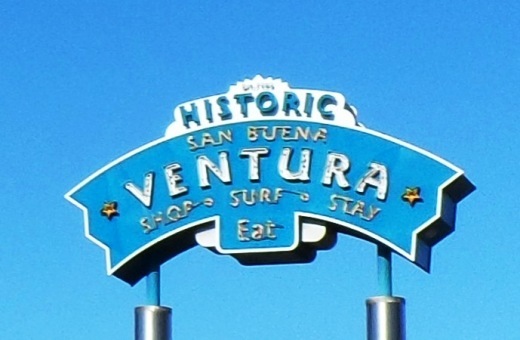 The official name of Ventura is the city of San Buenaventura. Mission San Buenaventura was founded by Franciscan priest Junipero Serra on March 31, 1782 and was named after Saint Bonaventure. Enough with the history lesson...here are some of my favorite things to do in this beautiful city! You can't miss the 1,600 foot long Ventura Pier, with its panoramic views, fishing and ocean-breezes. There's a cool little playground area in the sand just west of the pier, bicycle rentals nearby, miles of beachfront bike path and Surfers' Point. San Buenaventura State Beach stretches from the Ventura Pier down south past the homes of the Ventura Keys. Ventura Harbor Village is home to 33 acres of harborside activities, shopping and restaurants. There's an arcade with an antique carousel, boat rides, kayaking and sailing and quick access to family-friendly Harbor Cove Beach and Surfer's Knoll Beach. Also within a short walking distance is the Robert J. Lagomarsino Visitor Center, an inspirational and interactive source of information about the Channel Islands National Park. Bring the kids! 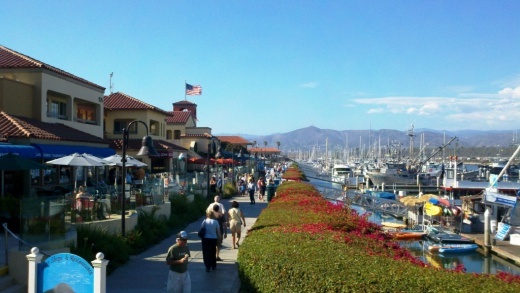 Ventura Harbor Village is a popular destination for tourists and locals alike. NOTE: Grant Park has been closed since the Thomas Fire of December 2017. The Demonstration Trail has since been reopened and there is now an admission price to help raise funds to replant the trail. For some of the most spectacular views of Ventura, stop by Grant Park / Serra Cross Park. You can drive up there, or park above the historic Ventura City Hall building and walk to Grant Park via the Ventura Botanical Gardens Demonstration Trail. This nice 1 mile trail, opened in October 2012, will give you a nice little workout, with views along the way. 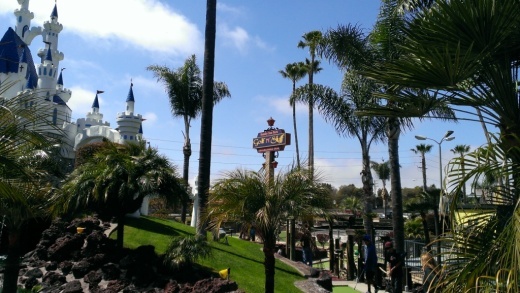 Golf N' Stuff is a family favorite, especially when it's really hot in the Conejo Valley and you're looking for an outdoor alternative to the beach. The kids never tire of the two 18-hole mini golf courses, bumper boats, large, nicely appointed arcade, go karts and bumper cars. Sign up with their email club and receive periodic 2 for 1 deals. Mini golf fun at Golf N' Stuff Ventura. Another popular family choice is oceanfront Marina Park in the Ventura Keys, a decent sized park with plenty of grassy area, a newer playground and path to adjacent picnic and viewing area Soter Point. We enjoy riding bikes from the park to the Ventura Beach Path. In Downtown Ventura, the Museum of Ventura County hosts a collection of over 30,000 pieces of fine art and historical items and a changing lineup of exhibits displaying items of local relevance. The Museum's Research Library houses over 150,000 resources related to the history of Ventura County. And the Museum regularly hosts public events geared towards all ages as well as free admission the first Sunday of each month. Those are some highlights! But there's more!